2. 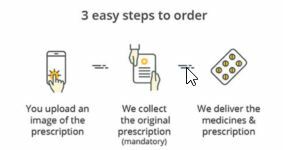 Upload your prescription and look for medicines. 3. Add the items to the cart >> Proceed to payment. 4. Make the payment via PayPal. 5. Done!! Your medicines will be delivered to your at your home. We share many more deals, coupons, discounts. Keep visiting !!! 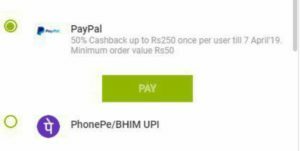 Minimum order value is Rs 50. Valid once till 7th April 2019.